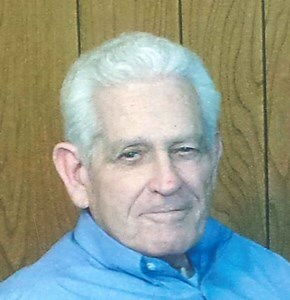 Barry Gall, 86, of Topeka, passed away Wednesday, November 21, 2018. He was born November 21, 1932, in Salt Springs, Oklahoma, the son of Herbert and Bessie (Zollinger) Gall. He graduated from Wichita East High School. Barry married Mary Elizabeth Biggers November 29, 1953 in Wichita, KS. Before retiring Barry was employed by Kroger Grocery Store's in Wichita, and Butner's, Harry's IGA and JM Bauersfelds grocery stores in Topeka. Barry was a member of the Wheathearts Square Dancing Club. He enjoyed outdoor activities. He also enjoyed traveling and going on bus tours. He loved spending time with his family especially his grandchildren. Survivors include a daughter, Stephanie (Brad) Hilderman; sons, Derek (Linda) Gall, Gary (Betty) Gall; grandchildren, Jamie (Grant) Rempe, Adam Gall, Joshua (Ashley) Gall, Lauren (A.J.) Avery, Amber (Ryan) Pfeifer, Alyssa (Dylan) Tyler; six great-grandchildren and a brother, Terry (Marilyn) Gall. He was preceded in death by parents; his wife, Mary Elizabeth Gall in 2005 and seven siblings. Funeral service will be 11:00 a.m. Tuesday, November 27, 2018 at Penwell-Gabel Mid-Town Chapel, 1321 SW 10th Ave. Topeka. Burial will follow at Memorial Park Cemetery, Topeka. Family will receive friends from 5:00 to 7:00 p.m. Monday, November 26, 2018 at Penwell-Gabel Mid-Town Chapel. Memorial contributions may be made to Midland Care Hospice, 200 SW Fraizer Circle, Topeka, KS 66606. To share a memory of Barry or leave a special condolence message for his family, please click the Share Memories button above. Add your memories to the guest book of Barry Gall. Uncle Barry Gall was a wonderful brother to my mother, Barbara Jean (Gall) Pearson. My memories of him are that he was a humble, soft spoken, salt of the earth man. My Mom called him “Fuzzy” and spoke about him lovingly throughout the years. She thought he was so very handsome, like her other brothers Hugh and Terry. I remember Barry and Terry on a fishing trip in Colorado when they were very young men. They enjoyed teasing each other and would say “well, Sweetie” to one another in fun. They also liked to tease my brother, Randy, and I over fighting over a fishing hole near Whitepine, Colorado. I was so sorry to hear about Barry passing. I am grateful for the times we shared with him along the way and wish there had been more. To Gary, Derek, and Stephanie, please accept our heartfelt condolences and sympathies for you loss. Uncle Barry was my hero. He was the patriarch of the Gall family for many, many years and set an example for all of us on how to treat each other, love each other, and hold dear all the family traditions and traits of those who left before him. He was a beautiful man both inside and out. He always treated others with respect. He was a gentleman - a guy you were proud to know. He was always in the know and cared deeply about our country. He was soft spoken but had lots to say that mattered. I'll miss talking to him and having him share his thoughts with me in the future. I'll also miss that wonderful smile and his shaking his head at something one of the kids had said or done. The family brought him such joy. He loved all his family and was so proud of all they'd accomplished. His wish would be for all to be happy, fulfilled, and stay connected as they have been their entire lives. He knew what a gift this family is to each other. We have our work cut out for us to do our part now that he has entrusted this to us. Wishing you peace to bring comfort & courage to face the days ahead and loving memories to forever hold in your heart. Remembering the words of John 11:25,26 - "I am the resurrection and the life. He who believes in me will live, even though he dies; and whoever lives and believes in me will never die." Your in our Hearts & Prayers. So very sorry to learn of your loved ones passing. Wishing you peace and strength during this difficult time. Keep memories close to your heart. Our thoughts and prayers for all of the family. Gary and family, so sorry to hear of your father's passing, my prayers and condolences to all the Gall family. Sorry to her your Father passed away. I always had fun with Barry competing in sales at Harrys IGA, WOW, many years ago. He was a great mentor for me growing up in the business. I always appreciated that from him. May Barry Rest in Peace.